Mark Fields: Fords dealer attrition rate in the first quarter is down a bit from the fourth quarter of 2008. DETROIT -- Ford Motor Co. cut 64 U.S. dealerships in the first quarter, a slower rate of decline than the company experienced during the final months of 2008. Ford finished March with 3,723 domestic brand dealerships, down from 3,787 at the end of last year. 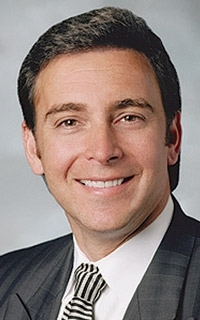 The attrition rate rose when compared with the first quarter of 2008, Mark Fields, Ford's president of the Americas, said recently. But compared with the fourth quarter, it's a different story. "When you look at it on a sequential basis, it's come down a bit," Fields said. Seattle dealer consultant Mark Johnson said Ford wasn't as active in providing cash incentives for closings in the first quarter. More money was available last fall, he said. Fields said Ford has continued to offer financial support to consolidate its network. Instead of upfront payments, Johnson said, Ford is now more likely to offer financial assistance in new ways, such as helping buy back old parts. "They're not doing anything like they were doing, going out en masse and negotiating deals," Johnson said. "They don't have the money for that." Ford still wants to shrink its dealer body; it expects store count to drop by as much as 2 percent from year end 2008 to midyear 2009. But executives say they won't follow Chrysler LLC and General Motors, which are slashing huge chunks of their networks. Ford's consolidation strategy focuses on its 130 largest metropolitan areas; the company had 1,652 metro stores at the end of the first quarter. Dealership closures will remain voluntary, Jim Farley, Ford group vice president of marketing and communications, told Automotive News this month. That's the key to retaining maximum sales and customers from the closing stores. "It's got to be controlled," Farley said. "Because if it's forced, you don't have the time to think through the transitions for those dealerships."